The Grand Calibur Explained is a short video to demystify how to use your die cutting machine correctly. 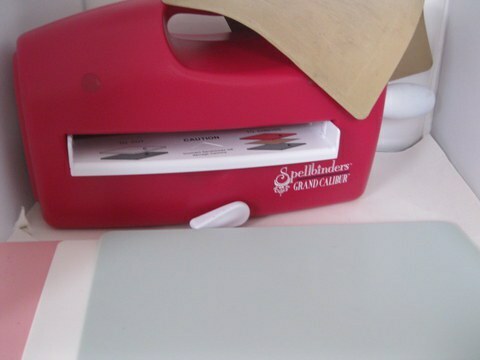 Spellbinders brought out this die cutting machine with the larger cutting platform to enable you to use the larger Grand dies and their brand embossing folders. But many people are confused about how to layer up the plates to get the correct "sandwich" for either cutting or embossing with the dies. 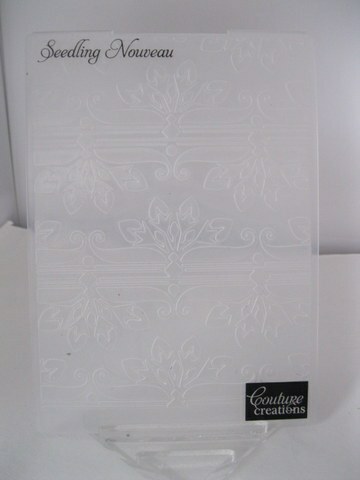 Grey Base Plate, White Cutting Plate, Pink Embossing Plate and a Tan embossing mat. Each is used for a different function but these are the main elements to your machine and the video will take you step by step through what to do. Now should you want to add in the M-Bossabilities to your collection you will also need to buy another plate. 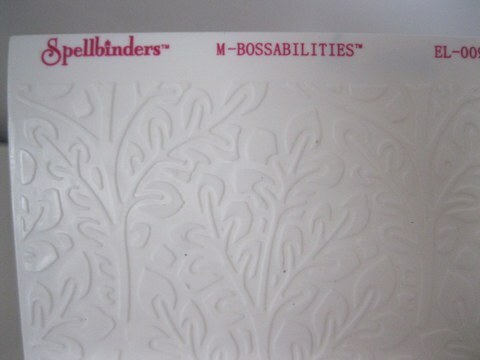 Because the M-Boss folders are thicker and can be used on both sides you will need the Raspberry Plate to enable you to use them. 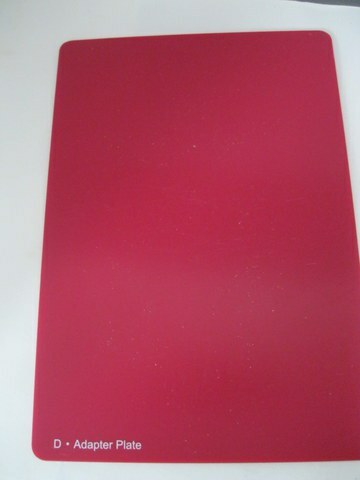 This plate is thinner than the Pink embossing plate, and doesn't need the tan mat. If you wanted to use embossing folders from other companies then you can try adding them with the tan mat and the Raspberry plate ... but sometimes those other folders can be a little too thick. I cannot emphasise enough that you should NEVER force any of the sandwich plates through the Grand Calibur or you stand the risk of breaking your machine. It will be trial and error for you until you find the correct mix and that is because all die cutting machines have their own slight differences. This could be due to the wear and tear on the actual machine or because the plates have worn or there is not enough pressure on the rollers. Try adding shims ... extra pieces of card to bulk out the plates ... and try them gently ion your machine until you are happy. Then you can use the embossing folders from other companies like this beautiful one from Couture Creations, quite safely in your machine. You may decide not to use embossing folders from other companies or you may not want this extra cost of the Raspberry plate .... the choice is yours.